The truth will set you free!!! 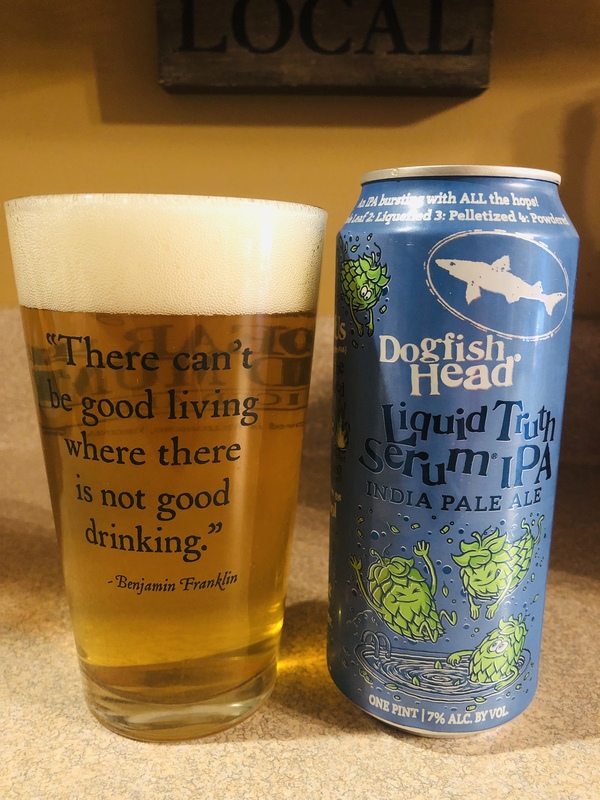 Oh yes it will, this amazing truth serum from Dogfish Head will change the way you think about IPA’s. It lists that it uses 4 types of Hops (whole leaf, liquified, pelletized and powdered) and they are all working together in perfect harmony. This beer is DELICIOUS! It starts with a fruity smell, not too strong but enticing. A light yellow coloring and a taste that is light and unbelievably good! All that and it packs a 7% alcohol content to boot! It is sold in a 4 pack of cans but…the cans are 16 ounces instead of 12!! Nice! We love this beer and will be getting more, it’s AMAZEBALLS! 5 stars!